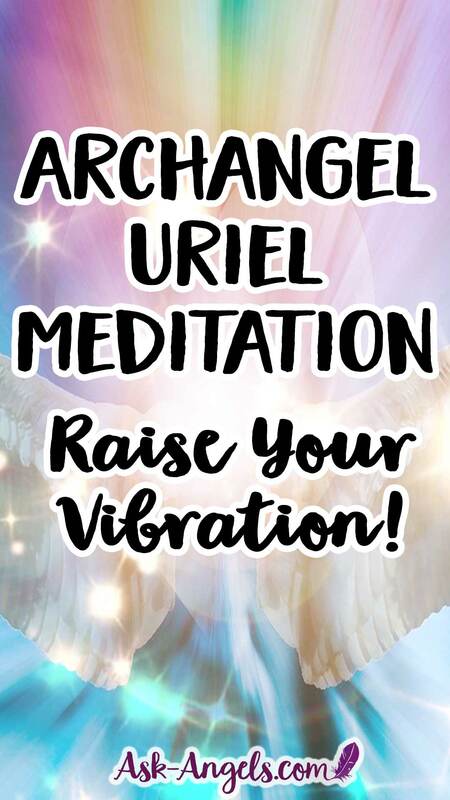 Learn more about Archangel Uriel here. I Archangel Uriel greet you now with the light of the sun, the light of warmth, the light, and the dawning of a new day. Tune into this light shining down upon you. The light shining down upon you and flowing in through the top of your head, into your mental, emotional body, into your etheric life force energy. Illuminating the divine qualities in you, so that your inner light in this moment now is rising like the sun. Tune into your inner light so brightly shining. Relax into this energy of solar light, letting go of anything standing in the way of your brilliance. To let your heart light ignite, so that your energy in this moment now becomes illuminated. You as a solar light being are becoming illuminated. Allow the light of your heart to begin extending up and down your being to illuminate your central core, your central column, and pillar of golden Christ light, radiantly shining in this moment. Now tune into the tingling, warmth, and sensation of the light of the central column of your being, allowing this light to shine more brightly by simply tuning into and relaxing into it. And letting go … Opening. The detailed attributes and facets of your purpose can once again be revealed to you. There are things both large and small. Light surrounding every particle, every wave pattern and every thought. Light shining so brightly that you are completely immersed in it. Glowing, within and all around you. The truth of the brilliance you are. And now your Archangels step forward in from every direction all around you. Of harmony, light and truth. Who you are here to be. In your full truth, radiance, and authenticity. Love, allows this to emerge. Love, empowers you to shine. And let yourself in this moment now open, to love in a new way. In a deeper, truer, and even more authentic way. Love free from restriction or condition. Love, that is the underlying force of Divine, inherent in all creation. And let your realignment with the higher light of love begin. Knowing that divine love can touch and bless and heal all areas of your life. Live empowers you to make the biggest difference. To accomplish, the mission and destiny you came here to do. And yet it is here all the same. And allowing the light of divine love to bless, heal, fill and illuminate you. Love shining down upon you. And unlocking from deep within.. The love that you are, and through this love empowering others to do the same. And with compassion, and with understanding, love opens the hearts… of men. Into her next stage and truth, of light. Through frequency, through energy, through feeling the subtle vibrations emanating around your etheric, energy body and form. You are the new light shining. Give yourself permission to create, and open to love… And play. We in the angelic realm bestow upon you our blessings. Thank you, Melanie, for sharing Archangel Uriel’s wonderful message of love and inspiration. Thank you from the very bottom of my heart.